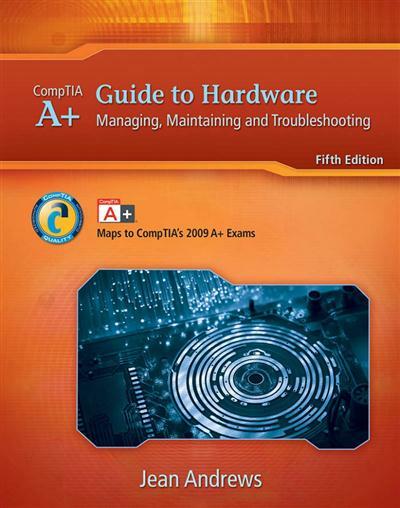 Written by best-selling PC repair author and educator Jean Andrews, the fifth edition of A+ Guide to Hardware: Managing, Maintaining, and Troubleshooting maps fully to CompTIA's 2009 A+ Exam objectives. This full-color guide is the most complete, step-by-step book available for learning the fundamentals of supporting and troubleshooting computer hardware. At the same time, it prepares readers to successfully pass the A+ 220-701 and 220-702 exams.